Pictured are Zach Kerns, PVH CFO, Jenny Overcash, executive director of human resources, and PVH Board Members Dr. Jack Buxton, John Sauer and Bill Knight with employees who have 5 years of service with PVH. Those employees are Sandra Black, Debora Boggess, Jaclynn Chapman, Ryan Corriveau, Natasha Donohew, Chris Errett, Bethany Ferguson, Wendi Frye, Justin Hebb, Valerie Hickman, Cheryl Jodon, Sara King, Josie Layton, Michelle Marcum, Janie Marks, Melissa Mayes, Joann McQuaid, Donna Miller, Penny Ohlinger, Norma Pickens, Maria Queen, Charlotte Reed, Chelsea Ridgway, Tiffany Stewart, Mary Thomas, Rex Troy. Pictured are Zach Kerns, PVH CFO, Jenny Overcash, executive director of human resources, and PVH Board Members Dr. Jack Buxton, John Sauer and Bill Knight with employees who have 10 years of service with PVH. Those employees are Nancy Clendenin, Betsy Clonch, Janelle Colburn, Ginny Ferrell, Vicki Freeman, Eleanor Jordan, Rocky Pearson, Nancy Phalen, Terrie Rees, Jessica Riffle, Brian Roberts, Jamey Spires, Rachel Stout, Sheila Welch. Pictured are Zach Kerns, PVH CFO, Jenny Overcash, executive director of human resources, and PVH Board Members Dr. Jack Buxton, John Sauer and Bill Knight with employees who have 15 years of service with PVH. Those employees are Courtney Card, Beth Clark, Drema Hysell, Jenny Jenkins, Christina Leadman, Scott Michaels, Jodie Saunders, Tonya Shobe, Leighana Siders, Leslie Spencer, Karen Truance, Naomi Wilson. Pictured are Zach Kerns, PVH CFO, Jenny Overcash, executive director of human resources, and PVH Board Members Dr. Jack Buxton, John Sauer and Bill Knight with employees who have 20 years of service with PVH. Those employees are Joe Black, Irwin Blessing, Shannon Harmon, Pam Muncy, Traci Roach. 15 years: Courtney Card, Beth Clark, Drema Hysell, Jenny Jenkins, Christina Leadman, Scott Michaels, Jodie Saunders, Tonya Shobe, Leighana Siders, Leslie Spencer, Karen Truance, Naomi Wilson. 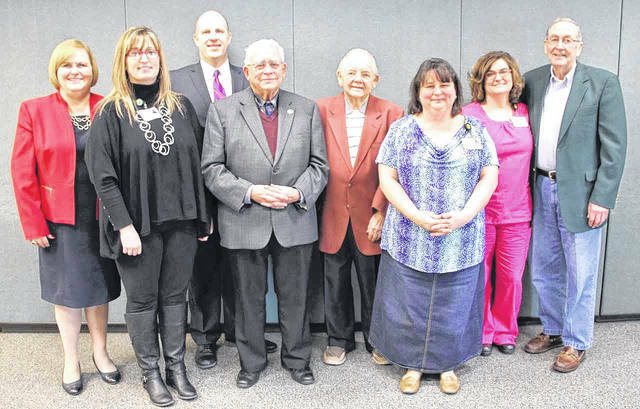 Pictured are Zach Kerns, PVH CFO, Jenny Overcash, executive director of human resources, and PVH Board Members Dr. Jack Buxton, John Sauer and Bill Knight with employees who have 30 years of service with PVH. Those employees are Karen Harper, Marie Phillips. 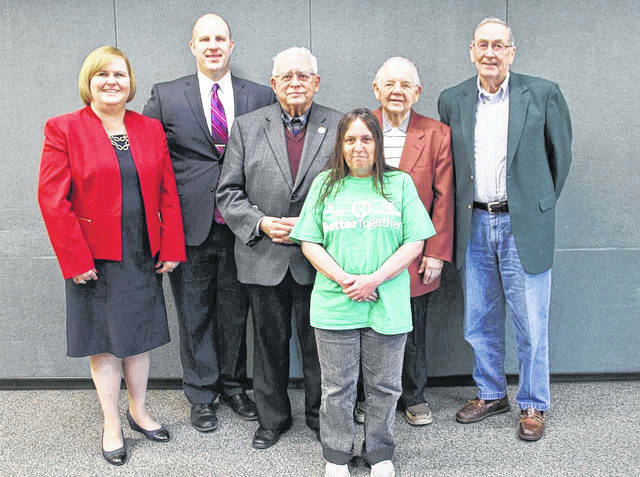 Pictured are Zach Kerns, PVH CFO, Jenny Overcash, executive director of human resources, and PVH Board Members Dr. Jack Buxton, John Sauer and Bill Knight with employee Debbie Roush, who has 45 years of service with PVH. 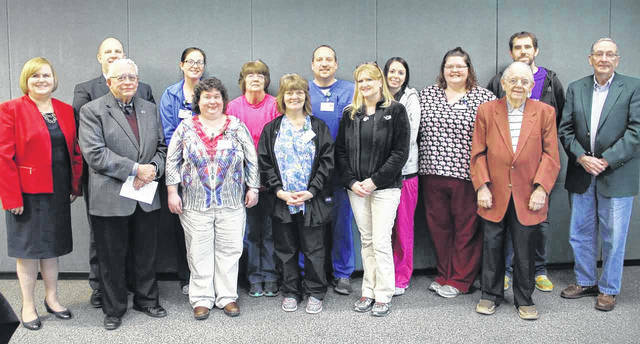 POINT PLEASANT, W.Va. — At Pleasant Valley Hospital’s 2018 Employee Awards Luncheon, 70 employees were recently honored for five or more years of service to PVH. Held annually, the awards luncheon is a way to show appreciation for employees’ commitment and dedication, said Zach Kerns, PVH CFO. The luncheon was held at Marshall University Mid-Ohio Valley Center. 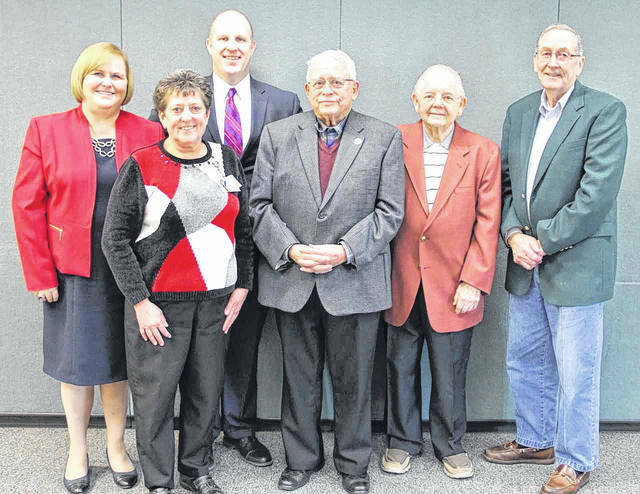 The service awards honored employees for years of service ranging from five to 40 years. 45 years: Debbie Roush. 40 years: Tom Reynolds. 35 years: Steve Burnett, Kathy Ingles. 30 years, Karen Harper, Marie Phillips. 25 years, Bridget Anthony, Angie Curfman, Wendy Lilly, Loretta Moore, James Richardson, Carey Wright, Debi Zuspan. 20 years: Joe Black, Irwin Blessing, Shannon Harmon, Pam Muncy, Traci Roach. 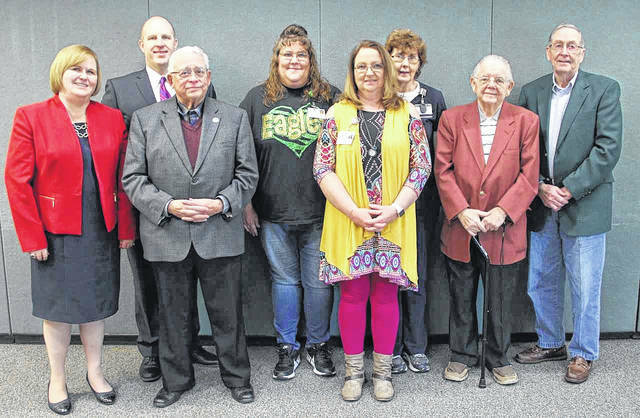 15 years: Courtney Card, Beth Clark, Drema Hysell, Jenny Jenkins, Christina Leadman, Scott Michaels, Jodie Saunders, Tonya Shobe, Leighana Siders, Leslie Spencer, Karen Truance, Naomi Wilson. 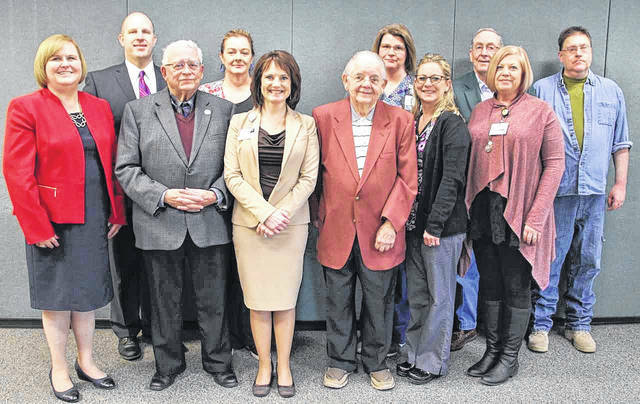 10 years: Nancy Clendenin, Betsy Clonch, Janelle Colburn, Ginny Ferrell, Vicki Freeman, Eleanor Jordan, Rocky Pearson, Nancy Phalen, Terrie Rees, Jessica Riffle, Brian Roberts, Jamey Spires, Rachel Stout, Sheila Welch. 5 years: Sandra Black, Debora Boggess, Jaclynn Chapman, Ryan Corriveau, Natasha Donohew, Chris Errett, Bethany Ferguson, Wendi Frye, Justin Hebb, Valerie Hickman, Cheryl Jodon, Sara King, Josie Layton, Michelle Marcum, Janie Marks, Melissa Mayes, Joann McQuaid, Donna Miller, Penny Ohlinger, Norma Pickens, Maria Queen, Charlotte Reed, Chelsea Ridgway, Tiffany Stewart, Mary Thomas, Rex Troy. Submitted by Pleasant Valley Hospital.